Post Tagged with: "riviera nayarit real estate opportunities"
Looking for Real Estate in Mexico? How about Riviera Nayarit? Vacationing in Mexico is a dream. You will find all the luxuries of a beach destination back in the States, for a fraction of the cost. How could it get any better? Well, how about owning a piece of it! Real estate in Mexico is cheaper than you might think, especially when you’re looking in Riviera Nayarit, a breathtaking area located between the Pacific Ocean and the Western Sierra Madre Mountains. It is known as “Mexico’s Pacific Treasure” and it boasts that title proudly. Riviera Nayarit, Mexico is really a paradise for anyone who loves kicking back and relaxing on the beach. Here you can find the warm and welcoming sands of Mexico, with beautiful natural wonders in the backdrop. In fact, Riviera Nayarit is home to almost 200 miles of beaches, attractions, and resort hotels. You can also expect lively wildlife-often catching glimpses of wild dolphins and sea turtles. This is what makes it a prime location for scuba diving and fishing. There are many leisurely activities to be found here, including fine dining, shopping, fishing, and some of Mexico’s top spas. Seeking adventure? Riviera Nayarit also offers activities for adventurers of all ages, including things like zip lining, horseback riding, and ATV excursions. 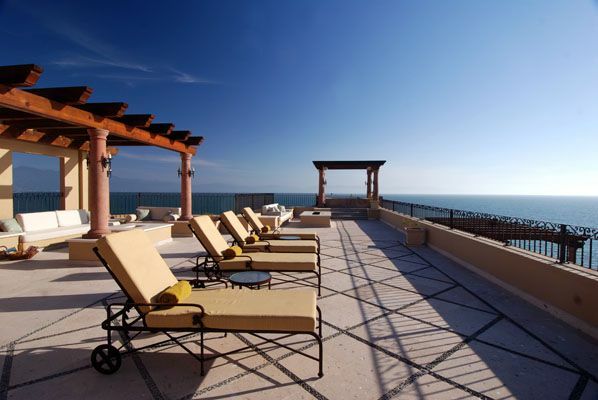 Real Estate in Mexico’s Riviera Nayarit has so much to offer! Riviera Nayarit’s activities and luxury accommodations can also be enjoyed fully year-round, as they simply skip the colder seasons. Here you will find an endless summer, with sunny days coming around almost every single day, and the climate always being warm and tropical. With both full and fractional real estate options available, owning your own little piece of Mexico , whether it be for vacation home purposes or even retirement, can be more affordable than you might expect. Riviera Nayarit’s prime location on the Pacific coast also makes it a wise investment that would tempt even the most cautious real estate investors and retirees. Riviera Nayarit is very easy to access, especially considering it is only 10 minutes from the Puerto Vallarta airport. This is an important factor when considering a location for a second home. Thinking about Real Estate in Mexico? You should definitely consider Riviera Nayarit.